The PEN Ten is PEN America’s weekly interview series. 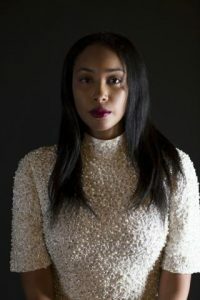 This week, we interviewed Jamaican poet Safiya Sinclair, author of Cannibal, which won the 2015 Prairie Schooner Book Prize in Poetry and a 2016 Whiting Writers’ Award. It all really began with a poem, of course. I’d written my first little poem, an ode to nature in the style of William Blake, and the act of writing was intoxicating. It made me realize that Jamaica’s natural landscape was one of the most powerful and accessible tools in my poetic arsenal. When I reached adolescence, a time of turning inward, the self burning up against itself, I read Plath’s “Daddy” and the damage was done. There was no going back. I realized that the inner world was as vast and un/navigable as the outer. I’ve been trying to explore and mirror both landscapes ever since. However, I would say that coming to America as a college student is the first time I really considered what kind of poet I wanted to be. I brought my work into a Bennington College workshop when a white student crossed out any references to Jamaican flora and fauna she didn’t recognize, scratching out the Jamaican patois, remarking “Can you say this in English?” And that was the moment I decided that my responsibility as a poet was to always keep my gaze centered on my Jamaican landscape, to tell the stories of Jamaican womanhood, of blackness and marginalization, to write against postcolonial history and nurture anti-colonial selfhood. To leave no space, no place, not even a sliver of consideration for the venal hegemony of whiteness in my imagination; dark, beautiful, and untamed. 2. Whose work would you like to steal without attribution or consequences? I can’t ever support stealing without attribution or consequence. That takes a certain privilege and entitlement that wasn’t bred into me. But I can tell you whose work I look to for instruction, for wonder, for inspiration. Writers and artists whose work I admire and who have nourished me in my quiet and most needful hours are: Toni Morrison, James Baldwin, Sylvia Plath, Audre Lorde, Gabriel García Márquez, Franz Kafka, Frida Kahlo, and Wangechi Mutu. I’ve written about my experiences of physical and emotional abuse, which were incredibly difficult to write with candor. I’m always trying to approach the history of violence that made me in a way that might be transformative or catalytic, while still being honest. It can leave you raw. Sometimes the poems catch in the throat. I’m still finding ways to get to the pulse of the wound, to probe and cut, probe and cut, until (hopefully) I eventually feel I don’t have to write about it anymore. In bed. I never had a desk until I went to college, and growing up in a household with three other siblings, and where none of us had our own room, my bed was always the only private space I ever had, the only place where I could write and read and cultivate a self. I would stay up late into the night, into the blue morning, writing. So even now, I still write my best work in bed. The time for irony is over. The time for navel-gazing is over. I’ve lost tolerance for any art that is disconnected from the world I live in, its current decay and its history of myriad injustices. Almost every space I enter is a place of violence, impossibly connected to the brutal past that made it, and made me. Writers must probe the wound that made them. If you have no wounds, then maybe your efforts are better served elsewhere. I refuse to have ideological conversations just for the sake of it; I’m done speaking with people who have the luxury to play devil’s advocate, who want to rationalize and humanize both sides. It’s not rhetoric or ideological for me to say that my family is in constant danger, to say that my island is in imminent danger, to say that I wake up every morning in America and wonder if today is the day I’ll be ejected from this country. All of this is to say that I think the responsibility of the writer is to say something true, to give voice to untold histories, to say something sincere about personhood, to speak from the margins of the unseen world, and to say something unsaid about the experience of being human that might be useful to all of us in the years to come. 7. While the notion of the public intellectual has fallen out of fashion, do you believe writers have a collective purpose? Yes. Otherwise I wouldn’t write. And though I don’t know if the purpose can ever be a “collective” one, the purpose must somehow be connected to the responsibility of the writer. Personally, I write to change the fact that my family has no records, no documentation, no family tree. I write to discover where I come from, to preserve the stories we have now, and to make sure whoever comes next will always know her name. This narrative of loss and rootlessness is the narrative of blackness in the Diaspora, one that has scarcely changed over seven centuries. If I am to believe I am nameless, then I also believe that documentation, especially of marginalized people, is necessary. By writing our stories, by making weapons of a language forced upon us by an oppressor, our writing is an act of rebellion. Poetry as revolt. Poetry as documentation. Poetry as survival. My impulse is to say never, to say that a person is free to say whatever they want, whenever they want, if they also anticipate and accept the consequences of their speech. But words matter. Words are a balm just as easily as they are powerful weapons. I censor myself. There are words I don’t use, words I know have a history of being used to diminish personhood and destroy the dignity of marginalized people all over the globe. Why use them? I’ve been in too many houses and classrooms where the N-word rolled so freely, too-freely, off a white person’s tongue, and I know how small it made me feel, how inhuman. How it made me want to slap the word out of their mouth, slap the mouth off their face. It’s no accident that words like these only exist to injure the already-oppressed and have no historical equivalent for the oppressor. When free speech is brandished about, but its only purpose is spewing historically-toxic, offensive, and disparaging words to express prejudice, I have no qualms saying it should be censored. It depends on who’s looking. A poet may observe, may see the bird and then become the bird. To build a view of the world on its wings. This is observation. Both words denote a way of seeing, but surveillance suggests something more sinister, to observe someone with a specific purpose, to uncover something (insurgent) about them. I trust no government to observe me without also being invasive and destructive. If, as the news says, the U.S. government will start tracking the social media accounts of immigrants and anyone connected to them, this goes even beyond surveillance—it’s a state-sanctioned effort to control thought and dissidence. If I must question whether truthfully answering sections of this interview might get me under surveillance, what state of freedom am I living in, in this Land of the Free? Conversations with Myself by Nelson Mandela and Letter from Birmingham Jail by Martin Luther King Jr. Or dystopian fiction like The Handmaid’s Tale, where even through state-sanctioned imprisonment, our hero cannot be silenced; her story will always be told.